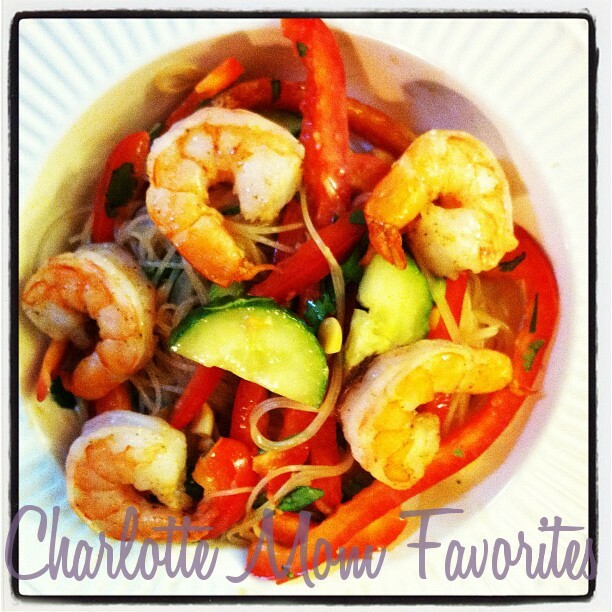 Back-Pat Worthy: Peanut Noodle Salad with Shrimp! There are times when I pat myself on the back after putting together a meal for dinner. 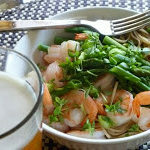 Making this Peanut Noodle Salad with Five Spice Shrimp was one of those times. (In fact, I just gave myself another pat for good measure.) Chances are, your family will also give you rave reviews if you make them this meal. That is, if you don’t have any shellfish/peanut allergens in the fam. In which case, unless you happen to want to visit the ER, I’d skip out on this one. I started out with a recipe from Food Network Magazine. It looked great and all, but I kicked it up a notch to use ingredients I had on hand and to add some additional protein. Here’s my version. Feel free to pat yourself (or me) on the back after cooking it. Just be quick with it. 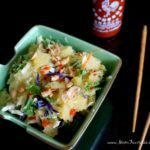 You won’t want to miss out on getting your chopsticks into this meal! In medium bowl, whisk lime juice, soy sauce, peanut butter, brown sugar, and oils in bowl. Pour dressing over the noodles. 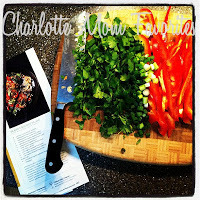 Toss with bell pepper, cucumber, scallions, cilantro. Top with peanuts and shrimp. Pre-heat broiler. 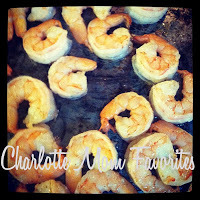 On large rimmed baking sheet, toss shrimp with oil and spices. Place under broiler until no longer gray, and just pink, approximately 5 minutes. 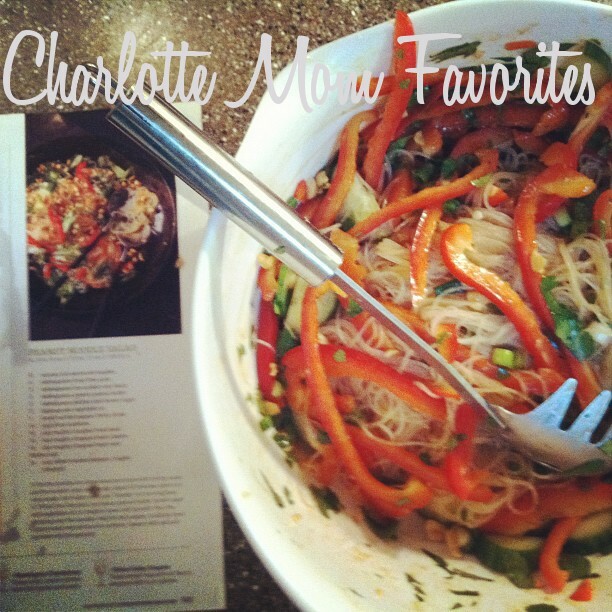 Arrange on top of Peanut Noodle Salad. Then, take a bow! What’s Hap-pinning, vol.5: Looks good, but is it?